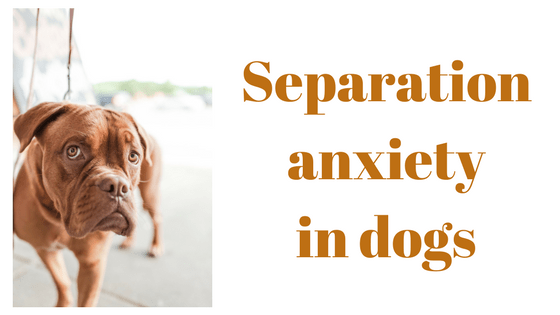 Separation anxiety in dogs can be exasperating! You just don't know what to do. Is it hard for your dog to be alone? Does it bark, whine and get agitated? Maybe it even engages in destructive behavior in the house or crate. Here are 7 techniques you can use to manage separation anxiety in dogs. These techniques don't work for every dog so you have to be prepared to experiment. You'll probably end up with a combination. Give your dog safe toys that entertain them when you're gone. Try to make your dog's time alone positive. For example, fill the Barnacle toy (shown in the video below) with treats and give it to your dog immediately before you walk out the door. This will keep them entertained for a while and give them something to look forward to. You can also fill a kong toy with peanut butter. If you use peanut butter you may want to freeze it (takes them longer to finish this game). This will give your dog a long enjoyable activity while you are gone. Your dog will start associating being alone with something positive. Pheromones are the natural chemicals emitted by animals that send signals to other animals. DAP simulates the pheromone that a female dog emits when nursing puppies. The theory is that puppies associate this smell with security and calm. Follow the directions on the package, and note that you should not get DAP on your dog's fur or skin. Spray it under their bed or on a surface that does not come into contact with their body. DAP comes in a spray, room diffuser, or spray collar so you have a few options to explore. According to veterinarian technicians that I've interviewed, they spray DAP on a bed in the patient room 15 minutes before an anxious patient arrives. This reliably calms the dog down. There are several brands: Adaptil/Comfort Zone, Pet Ease, Sentry Calming Spray, Quiet Moments and others. I've heard Vet Techs rave about Adaptil, but you can experiment and see what works for your dog. I tried Sentry and Adaptil and did not see any difference between the two. Please let us know what you find out in the comments below. Before you leave the house, try wrapping your dog in a thundershirt. The shirt "craddles" your dog and makes them feel more secure. It needs to be fairly snug, but obviously not so snug that it cuts off their circulation . This doesn't work for every dog so you have to experiment. There are many brands and products available. My recommendation is to find a high-quality construction shirt that is comfortable for your dog at the best price. Let us know in the comments if you've found a brand that works better than others. Some dogs feel more secure in a crate. Other dogs actually have more anxiety in a crate. I recommend putting your dog in a crate while you are still home, and using a camera (or peek in the room) to see how they behave. If it calms them, use the crate when you leave. You can also try covering the crate with a blanket to see if they are more calm with the cover. The folks at iCalmPet have a well-researched music program designed to relax dogs. They have a series of CDs for different purposes (home use, driving in the car, elderly dogs). Again, let us know in the comments how these work for you. Bach's Rescue Remedy is a natural herbal recipe that calms pets. Drops can be added to your dog's treats, food, water or can be rubbed on their belly. Follow the instructions on the package. 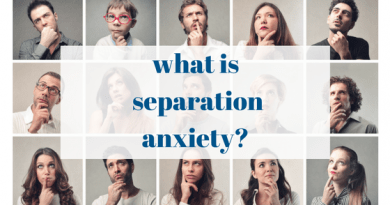 Xanax is a benzodiazepine that has worked extremely well for our dogs with separation anxiety. Talk to your vet about medication options.